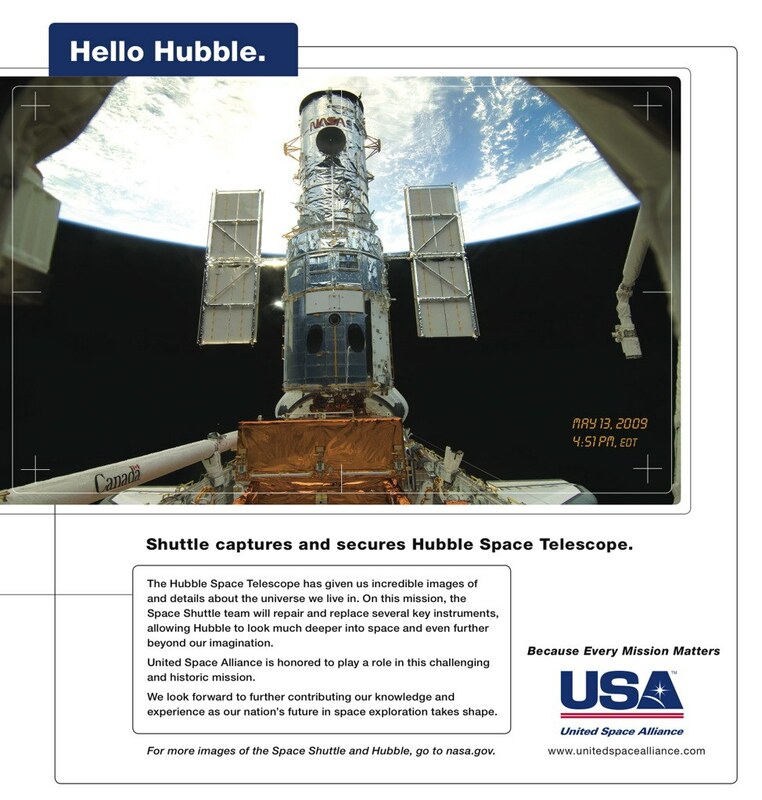 Real-time advertising for a Space Shuttle Mission and United Space Alliance. 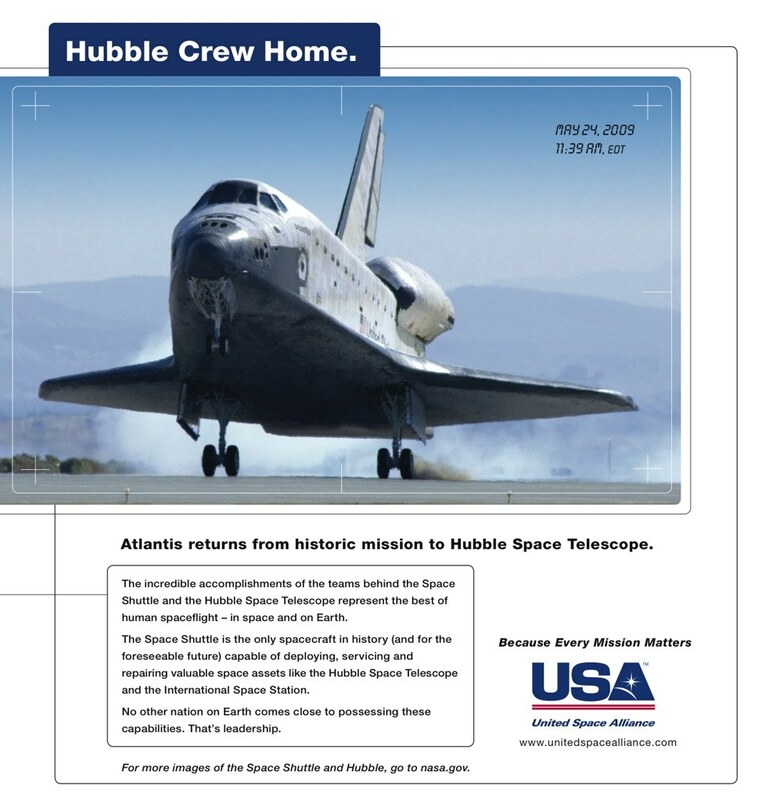 United Space Alliance, an amalgamation of several companies who manage the Space Shuttle ground control operations at the Kennedy Space Center, wanted to create an advertising campaign to promote their value to all their key stakeholders. Particularly U.S. government. After some research we realized that the astronauts were taking pictures, uploading and posting them on the NASA website – in real time. 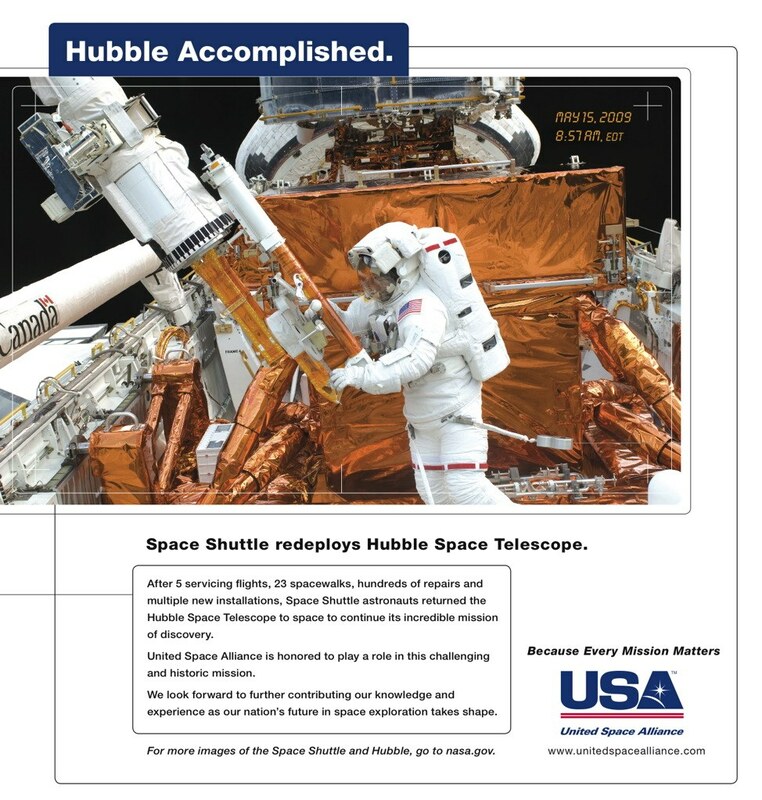 In this mission, the crew goes up to make repairs to the Hubble Telescope. Three ads were created, each at different stages of the mission. The ads were written and assembled within hours of the photographs becoming available, then sent to the daily publications for printing the next day.